At DNAnexus, security and compliance are paramount. In order to maintain the highest security standards, we occasionally need to update our system protocols. We are in the process of deprecating support for TLS 1.0 and TLS 1.1; starting July 1st 2017, the DNAnexus Platform will only support TLS 1.2. After this date, customers using TLS 1.0 or TLS 1.1 will no longer be able to access the DNAnexus Platform. You may need to upgrade your system to maintain continued access to DNAnexus. TLS stands for “Transport Layer Security” and is a protocol that ensures connections made to a remote endpoint are the intended destination through encryption and endpoint identity verification. DNAnexus web and API connections use TLS as a key security component, thus it is important that the latest version of TLS is supported. Install Homebrew using the instructions at https://brew.sh/. Once the Python version is installed follow the instructions at https://wiki.dnanexus.com/Downloads to download, unpack, and activate the latest dx-toolkit release. If you use Internet Explorer version 10 or earlier, you will need to upgrade your web browser to Internet Explorer 11 or later. If you use a PC, or if your web browser is Internet Explorer 11 or later, Chrome, Firefox, or Safari, we do not expect that your access to DNAnexus will be impacted by this upgrade. 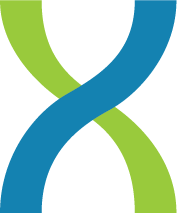 If you are impacted, please make the necessary modifications by June 30th, 2017 in order to maintain continued access to DNAnexus. Please do not hesitate to contact support@dnanexus.com with any questions or concerns.